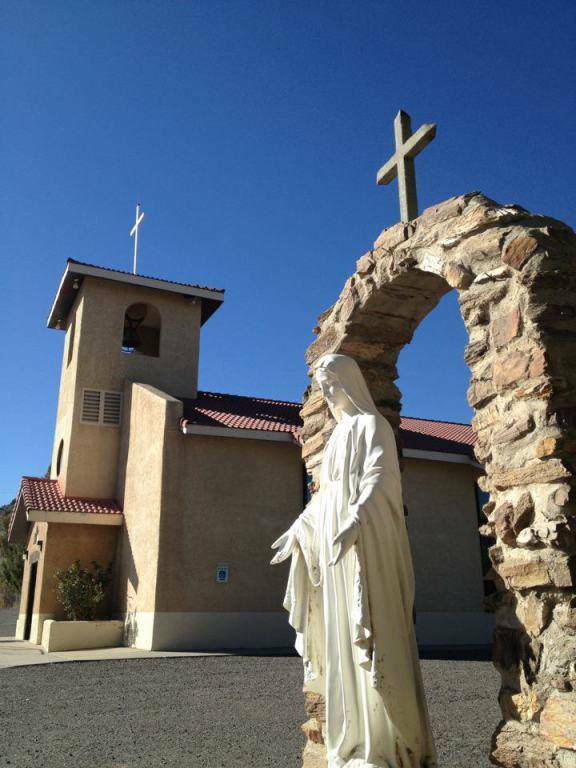 The parish of St. Rose of Lima is considered to be the “mother” parish of San Juan County. Many of the church families are descendants of the original homesteaders that settled this region over a hundred years ago. We continue to build on the legacy of faith, service and community that have been the hallmarks that represent the township of Blanco. The church truly is the center of the community, bringing generations of families to profess and live out their love for Christ and to integrate discipleship and diversity of culture and traditions. St. Rose of Lima became a parish in 1900. It was originally a mission of Parkview and was located in a small building at a different site from the present church. It was the first parish in San Juan County and included missions in the outlying areas of Rosa, Carracas, Los Pinos, Los Martinez, Gobernador, Alcatraz, La Fragua, Farmington, La Plata and Lumberton. The original church burned in 1906 and a new larger church was built in 1910 and run by the Franciscans. In 1918, a school was established at the church as a service to the community. The Ursuline Sisters taught at St. Rose of Lima for 33 years. In 1951, the school was closed due to a lawsuit which brought about a distinct separation of church and state preventing the sisters from teaching in their religious habits. On December 7, 1930 a disastrous fire destroyed the church and convent completely. As late as the 1940’s, priests traveled by horse to certain missions of the parish. They felt that they were more likely to reach their destinations on the bad roads by horse rather than by car. Because of the growing populations in some of the mission areas, the pastors at Blanco had the task of building churches at Aztec, Bloomfield and Navajo Dam. In 1963, the old gym of the now closed school was remodeled and fashioned into the present day Parish Hall and a rectory was completed in 1968. By 1986, a new church was constructed including classrooms and parish hall. This is the structure that is still used today. The present Parish is made up of 185-200 Catholic families. All statistics indicate a continued population growth in the area. Much still remains to be done to meet the needs of the community in the decades ahead.